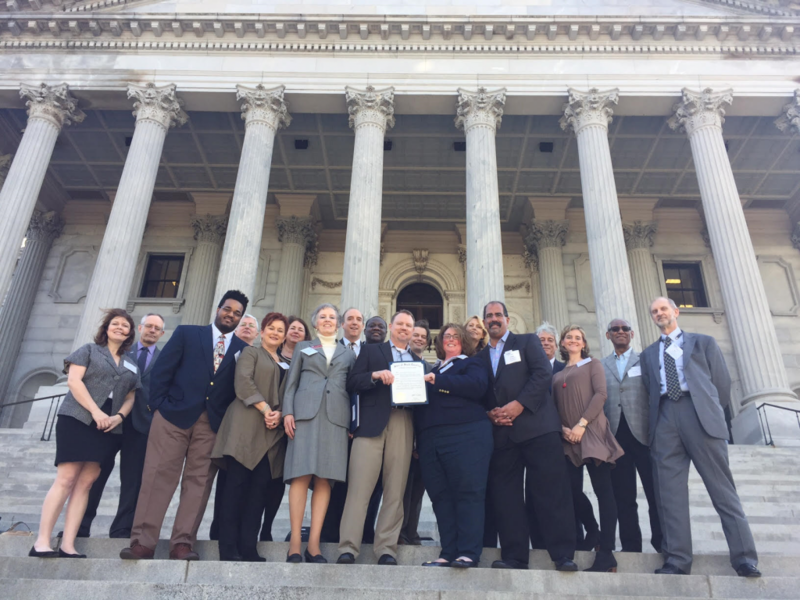 The SC Chapter of HIMSS held its 3rd annual Advocacy summit on January 18, 2017, at the IT-oLogy Building in Columbia South Carolina, following a proclamation given by Gov. Nikki Haley naming January 18, 2017, as state Healthcare Information Technology Day. The goal of the event was to educate legislators on the opportunity to leverage SC HIMSS members as subject matter experts when health IT issues arise in the legislature. It was a great success, our turn out was tremendous. We had over 44 individuals registered and participated in this great day. We had a power packed morning line up with a kick off from or own Representative G. Murrell Smith, Jr. discussing a Statewide Telemedicine Network – Bringing Quality Healthcare to all of South Carolina. Wyman Bowers, CEO of South Carolina Health Information Exchange (SCHIEx) brought us insight on Interoperability – Where the Rubber Meets the Road, our need for nationwide healthcare provider’s communication to be an open forum. Edgar “Ed” Spencer, M.Ed., MSW – South Carolina Department of Mental Health (SC DMH) closed our morning discussions with an in-depth look at Innovations in SC Healthcare Utilizing Video and Electronic Technology how it has progressed and how SC is setting the bar for other states in this arena. This was a day that started the process for building stronger relationships within our Governmental structure that will inevitably improve our communication and informational flow. To view the video of the SC House presentation, click on the following link. To view SC HIMSS section of the video, you can skip to 49.21 minutes into the video to begin watching.